Welcome to "My" Garden Tower Project. 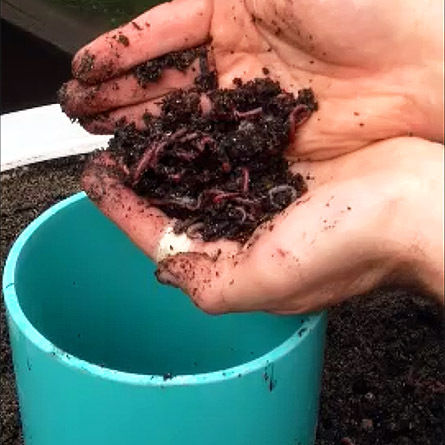 I've been worm farming for many years now and I've seen a lot of different ways to worm compost and garden but rarely have I seen a product that fulfills both needs at the same time. This is the Latest version of the Garden Tower. 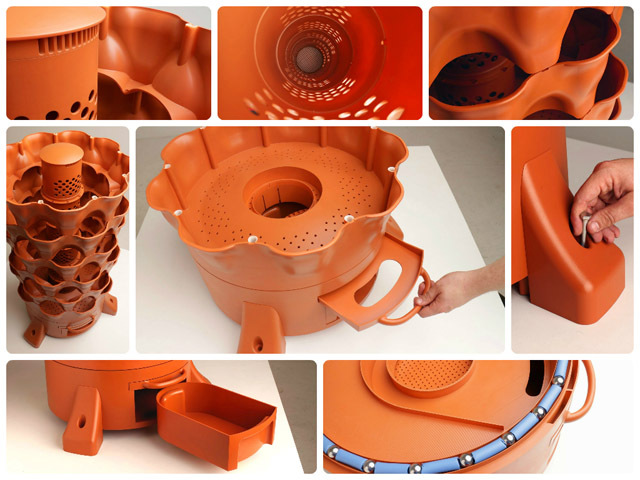 It swivels 360 degrees and has an easy pull out tray below to harvest Castings or reuse water from the collection tray. 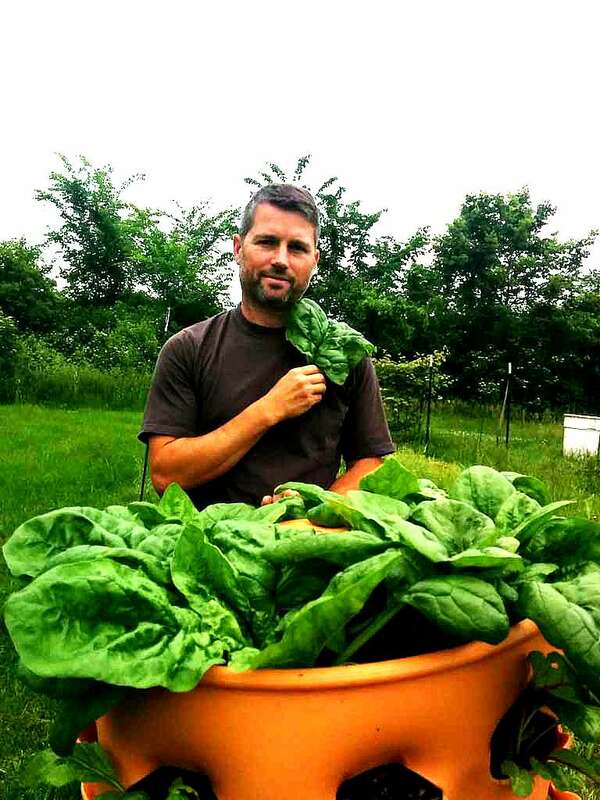 As a worm farmer and gardener I'm always thinking and looking for ways to be naturally efficient, effective, and as informative as possible. 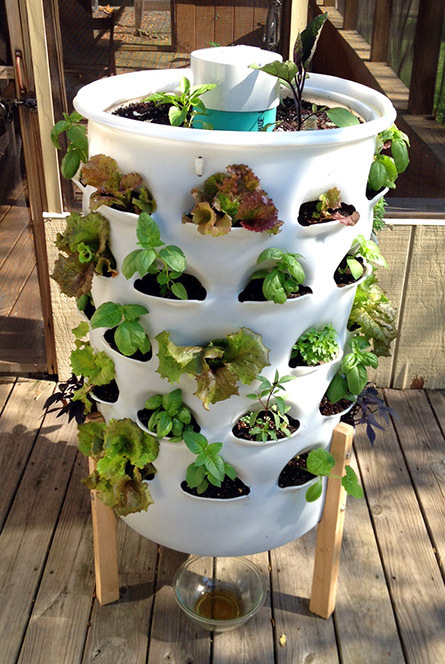 Through my search I've stumbled upon The Garden Tower Project that to me, looked like it was both efficient & effective while still being able to accomplish many of my gardening needs. 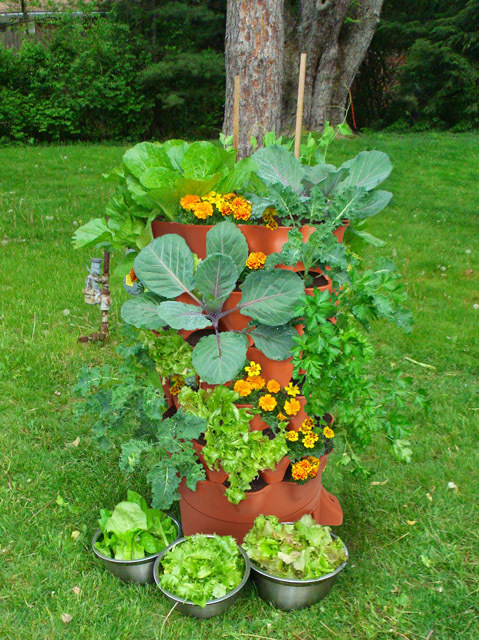 But it dawned on me the other day, while I was staring at this container gardening unit, that I already had one of these "vermiplanters". In fact, anyone who's ever owned a worm bin probably has one of these. Okay, maybe not "exactly" like one of these units, so let me explain. 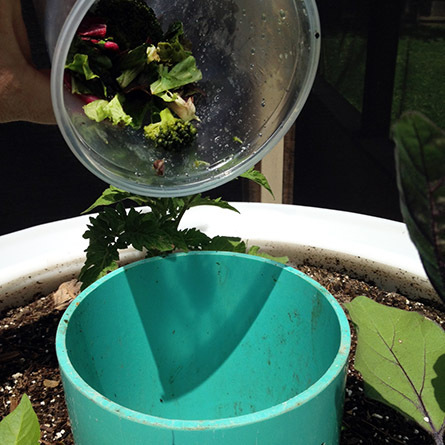 Have you ever fed your worms kitchen scraps and left the worm bin alone for a couple of weeks and when you returned to lift the lid you found a little surprise or maybe a BIG surprise inside? Yup...That's right! A pepper or tomato plant staring you right in the face. 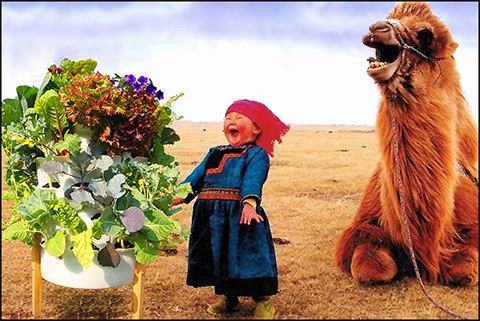 Of coarse by the time you realize it the plant has grown too fast and spindly to be of good use or even transplanted. That's because plants just don't do well in mostly worm castings. 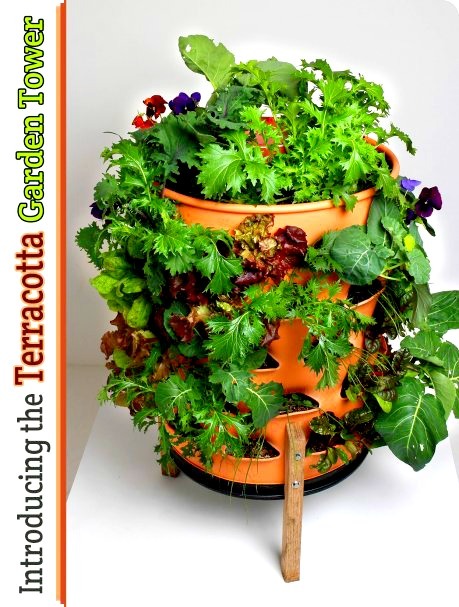 On the other hand The Garden Tower seems like the perfect vertical gardening and worm composting unit all in one. So why would it work in this unit and not a typical worm bin? If you know me well enough you always hear me say that we need to mimic nature as much as possible and that's exactly what The Garden Tower does. In nature, plants consume worm castings a little bit at a time and not like in a worm bin where the only food source is worm castings. In nature the worm castings can be found on top of the soil from composting worms and also beneath the ground from other types of worms like deep burrowing nightcrawlers. The roots grow out to seek water and where can water be found? Within the deep burrows of nightcrawlers where worm castings can also be found. The castings from composting worms will also be found by the more shallower roots at top. 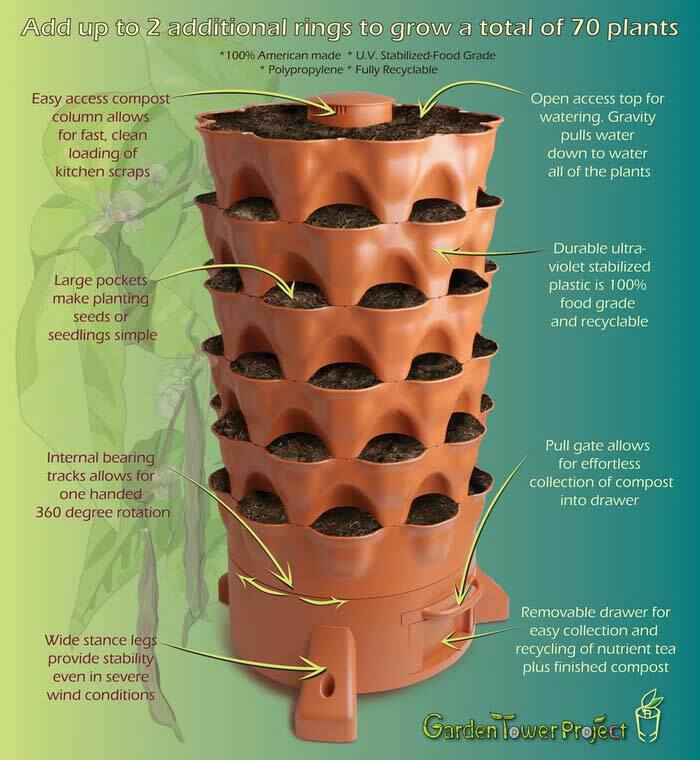 How Does The Garden Tower Work? It's really self-explanatory but here's a full view. 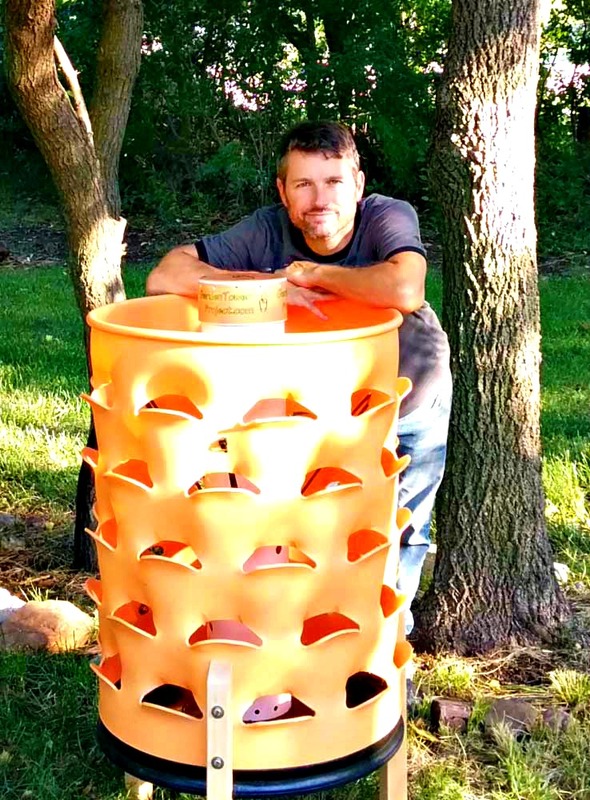 Fill the system with your favorite growth medium and worm castings if you can get them somewhere. While adding the dirt you'll need to transplant each row or you can start by seed. 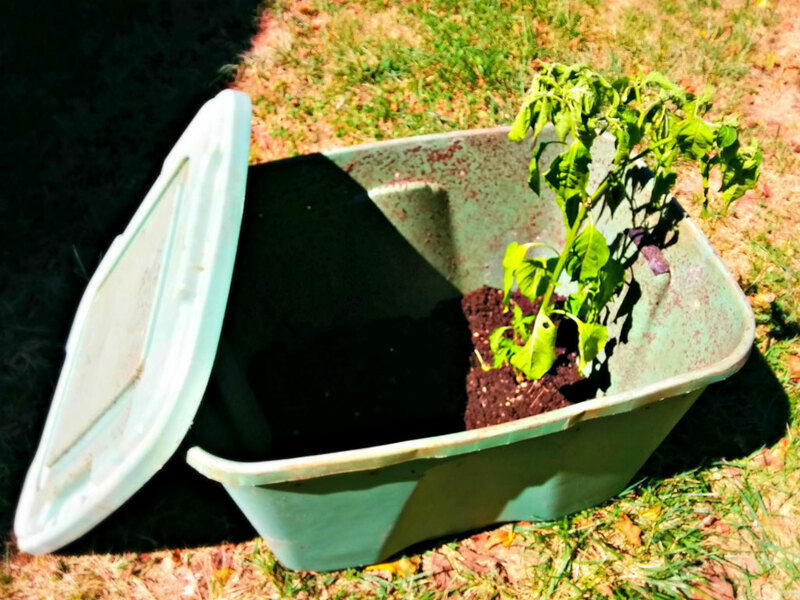 Now you're ready to fill the inner tube with worm bedding and kitchen scraps. next comes the adding worms. I would suggest a variety of worms but you'll have to keep following me for that info. The inner tubing has holes up and down for the worms to crawl out of and into the soil to deposit their castings. There's a hole in the very bottom of the system for leachate to drip into any container you place underneath as shown in the picture. That's it! mimics the same design found in nature." Many people are successful in many areas and walks of life because they have copied success. Why is a forest so green and teaming with life? Well, it's not because of us. So then all we have to do is copy success. I guarantee you that a worm bin is much more hospitable than nature itself because we now know what worms need to thrive and have provided that safe environment and multiplied it by exponential. 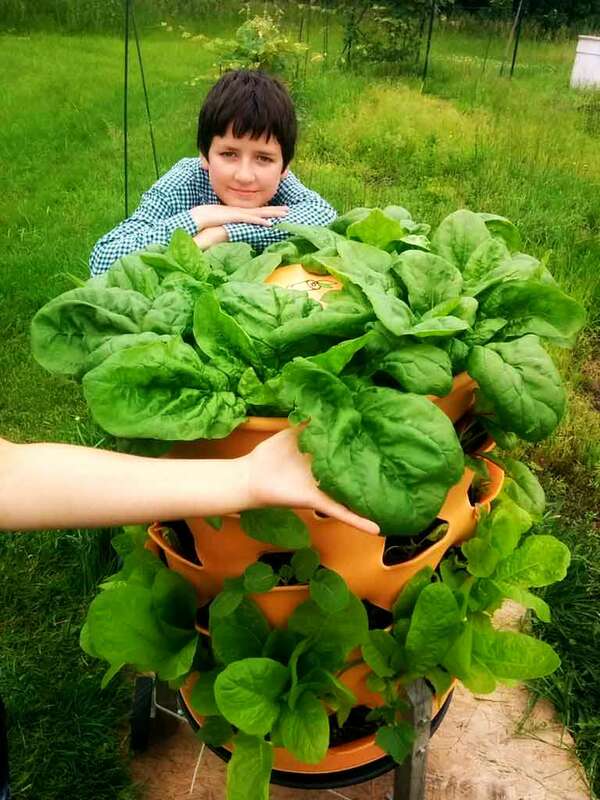 So if you want to go on a nature walk with me then I invite you to follow my journey as I grow editable food for my family using The Garden Tower. 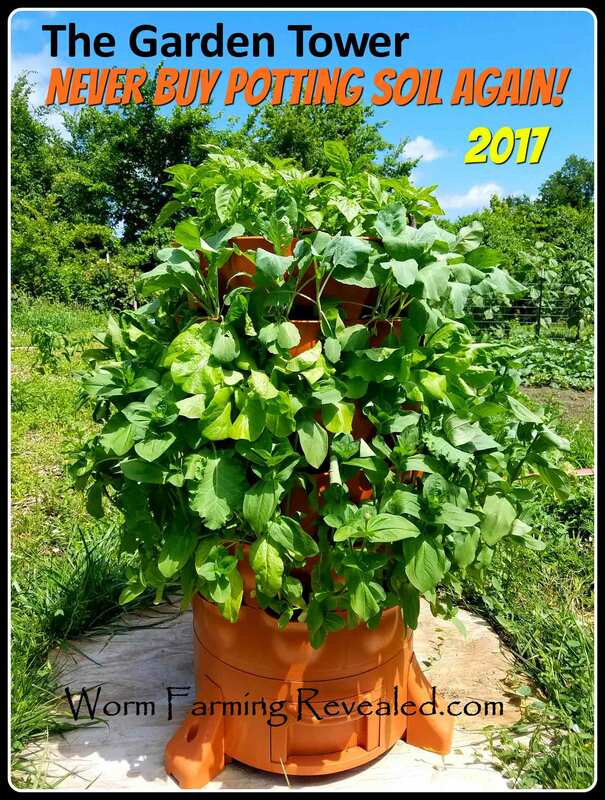 Never Buy Potting Soil Again! All the material can be found in your backyard. All you need to do is use it. Nature is hard at work so you don't have to be. Take advantage of several usable materials AND incorporate Worm Castings! 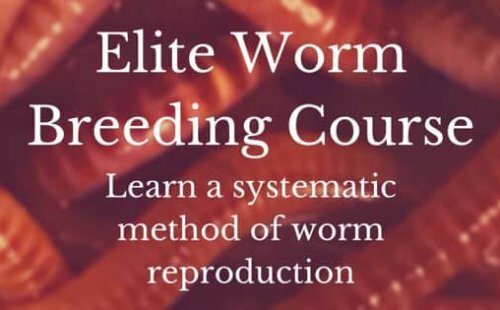 Sign up for the Worm Blog or newsletter as I'll be updating both. 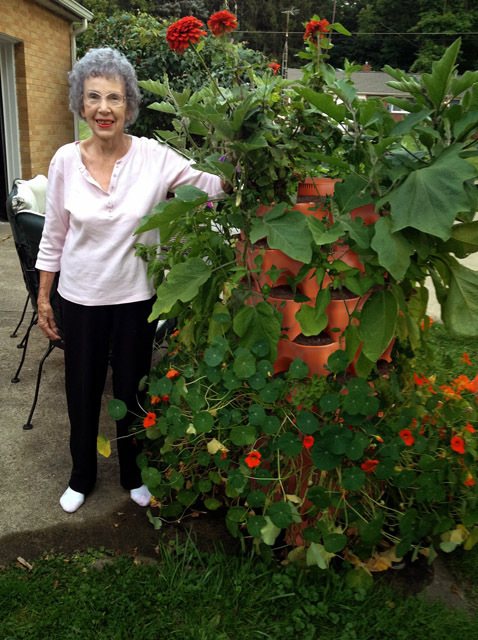 If you'd like a Garden Tower for yourself then head on over and get it now by clicking below.